How to make homemade anti-aging face cream for wrinkles using one of 5 receipts and taking into account 8 warnings? It’s not very easy to make a homemade anti-aging cream on your own. It’s extremely important to pick proper ingredients, which will be suitable for your skin type. However, there is still more, because even properly chosen ingredients will not “work”, if you mix them in wrong proportions. In case you follow all rules when making a homemade anti-aging face cream, you’ll see how many advantages it has over those, which are sold in the stores. The main differentiating peculiarity of suchlike face creams for wrinkles is their naturalness. All components, which are contained there – are natural moisturizers, which are able to bring much more benefit than their face care analogues of mass production with plenty of various preserving agents. One can cook homemade anti-aging cream at home differently: taking mineral jelly or different oils as the base. Besides, face products which contain bee wax are also very popular. How to Get Rid of Acne Fast Without Buying Anything? The main and only disadvantage of the face creams made at home is that they cannot be saved for long, because they have no preserving agents. 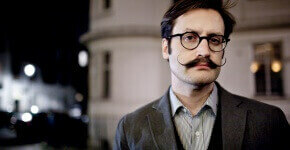 Besides, you should pay attention that if you use this product very seldom, you won’t achieve visible result. How to make a homemade face cream for wrinkles? Face cream for wrinkles is made in the course of several stages. At first, you should melt the needed ingredients if they are firm, so that the mass became soft, without lumps. It order to achieve it, some products are grated, cut with knife or in blender. Then you need to heat them on the oven using the steam bath. The next step will be to mix these firm ingredients with the liquids (oils, etc.). When you mixed liquid components with the main mass, you need to shake it up very well. In order to do it you may take a mixer, a blender, a utility whisk or usual fork. You should do it till the mixture cools down. Then the ready-made anti-wrinkle product should be put in a glass or plastic container and placed in a fridge for 5-7 days. There are plenty of anti-aging receipts, but we’ll tell you about the simplest and most effective ones. Anti-wrinkle cream with flour and honey. Mix in a small pot glycerin, egg white and honey in the mentioned proportions. Then, without any hurry, add flour, so that you received thick consistence. The anti-wrinkle cream is applied to the clean and previously washed neck and face for 10 minutes. Then, you need to wash it off with warm water. From time to time you need to wash your face with cool chamomile brew to maintain the result. This receipt will perfectly fit women with oily skin type. Firstly, you need to mix oil, honey and egg yolk. Then, add to the mass, stirring by a wire whisk, camphor spirit and the rest of components. The anti-wrinkle mixture is applied for not more than 20 minutes and then removed by warm water. Anti-aging cream for dry and sensitive skin. It’s extremely important that a face cream for wrinkles with rose hips is very easy to make and it’s very useful for skin. Hashed rose hips (3 tablespoons). In order to create this cream for wrinkles, you need to rub all components till you get the homogeneous mass without lumps. If you do not have rose hips, you may use Sharon fruit, peas or plums. 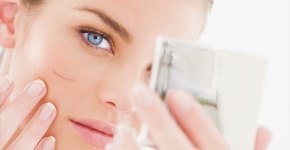 The technology of making homemade anti-wrinkle eye cream is very simple. For a little time you’ll be able to make a safe, effective and natural anti-aging eye cream on your own. Wild chamomile is considered to be one of the best components for sensitive skin, which is definitely the skin around eyes. Medicinal herbs are very good at removing inflammations, help to hydrate the skin, boost its energy and natural shine. Castor oil – 1 teaspoon. At first, let’s prepare the infusions from the flowers. In order to do it you need to put in a bowl a teaspoon of chamomile and lime flowers, pour boiling water and cover with the top or a plate. They must draw for 15 minutes. Then you strain the received infusion. Two tablespoons of infusion you should mix with melted butter and a spoon of castor oil. Thoroughly mix the mass and work it with a mixer. You may save anti-wrinkle eye cream in a fridge not more than 5 days. Then you need to make a new portion. Apply the anti-wrinkle eye cream before bed, but at least one hour before sleep. Chamomile eye cream will help you fight one of the main problems – wrinkles around the eyes. Anti-wrinkle eye cream of deep action. It’s very easy to make this product, but the most important thing is to stick to the sequence of actions. It prevents wrinkles around the eyes and eliminates the already existing wrinkles. Boiling water – 250 ml. First of all, you need to prepare herbal infusion, because it must draw. 2 tablespoons of thyme you mix with boiling water, close the container with the top and leave for 20 minutes. The received infusion you strain and cool to the room temperature. Then we take cacao butter, put it in the container and place it on the water bath. Firm butter must be completely melted. Make sure you put the pot on the slow fire, so that the temperature did not destroy the nutrient elements. Take the butter from the fire and cool it to the room temperature. When the mass is cooled, you should add vitamin, wild rose and lavender oils and thoroughly stir. Slowly add 2 tablespoons of herbal infusion and mix again in order to receive the homogeneous texture. Then we completely cool it and pour in a convenient container. The homemade anti-wrinkle eye cream for wrinkles should be applied to the clean skin around the eyes in the morning. Apply it in the proper way, by soft and careful movements. The area around the eyes can be easily stretched. If you use the cosmetics improperly, you’ll get even more wrinkles around eyes. Before applying homemade anti-wrinkle cream, you should test it on the unseen skin zone. If reddening appeared or it started itching, refuse further using. Only natural oils of high quality will be suitable for the cosmetic products. Chemically synthesized analogues will make the existing dermatological problems and wrinkles even worse. Essential oils should be added at the final steps, because you cannot heat them. To mix the components you should pick a container form glass, porcelain or ceramic. You’ll achieve the best effect in those cases, when before using the homemade anti-wrinkle product, you prepare your skin: pores must be cleaned from the dirt and the skin must be steamed. The muscles during the anti-aging cosmetic procedure must be relaxed. It will let the components get in the deep layers and bring the maximum anti-wrinkle effect, which you expect. 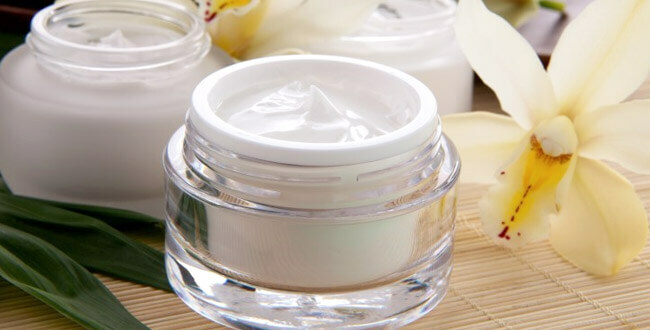 Homemade anti-aging creams are mostly rather fatty, that’s why, unlike the bought options, you should remove the excess of them 20 minutes after the application. The perfect option for the packing of homemade anti-wrinkle creams is the vessel with pump. If you use usual cans, you get the anti-wrinkle cream by your fingers and it’s not hygienic enough and may significantly decrease the storage life of such things. 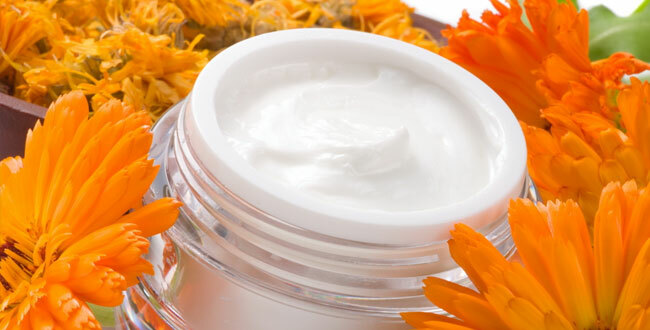 Homemade anti-aging cream is a real possibility to save youth and skin tone, avoiding chemical compounds and skin care using special equipment. The least efforts and expenses, but the result (with a proper approach) is very noticeable and positive.